Sister's Secrecy: Arcanum Bloodlines is a real gem for the hidden object puzzle adventure genre. The developers have done a great job with this one in all its aspects. You get a great wrapping and awesome game mechanics. In this game you have a journal with all the tasks, awards, achievments, and a store with bonus features. The story that you are told in this game is not innovative at all, but it doesn't make the experience any worse. You are introduced to two sisters that were abandoned as babies. They were never able to know or remember their parents. Now one of them has gone missing. The other one has begun a search for her twin sister. The search has taken her to a distant town where strange things happen. You gradually realize that the bloodless bodies and silhouettes in the sky have something to do with your missing sister. Those who appreciate good sound and voice over and art will be more than satisfied. Lots of work has been put into it. 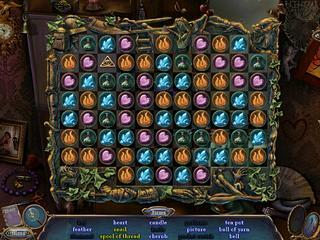 Then you get to enjoy your hidden object levels, match three tasks and general adventure trough the game. In addition to that you have a journal with all the tasks, awards, achievments, and a store with bonus features. 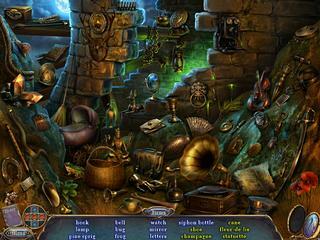 You will receive coins for playing either hidden object or match-three levels. You are free to chose. The hidden object ones are quite interactive. You also want to get all the collectibles for more coins. The game really is polished in all its aspects. It is full of things that all the fans of HOPA will enjoy. This is Sister's Secrecy: Arcanum Bloodlines review. Download this game here.